Security Memetics: One Of Those Times You Don't Want To Hear "Oops!" 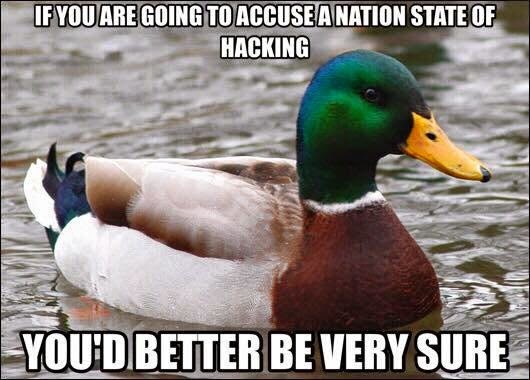 Thanks to George V. Hulme for sharing this sage advice about diplomatic relations and hacking. It's rare for the target of blame to be understanding enough to offer you a chance at a do-over if you screw up. Amazingly, North Korea has done just that.